Murray State guard Ja Morant takes the ball up the court in Murray State’s 83-61 win over Eastern on Jan. 17. Morant leads the Ohio Valley conference in scoring (24 ppg) and assists (10 apg). 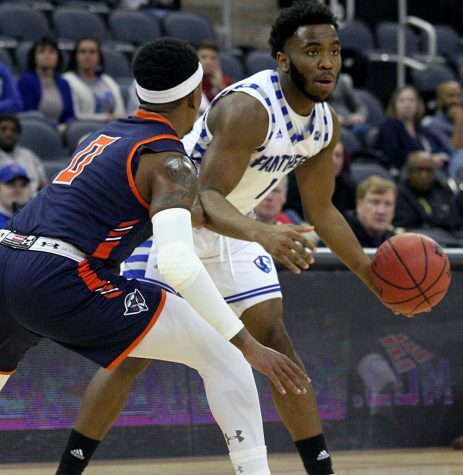 Editors note: This article chronicles the journeys of the Ohio Valley Conference’s Ja Morant, Dylan Windler and Nick Mayo as they transition from OVC basketball players and NBA prospects to professional players and ambassadors for their conference and schools. It was not Madison Square Garden, it was certainly not the Staples Center, but on Jan. 10 Murray State’s sophomore guard Ja Morant brought the 3,114 people in attendance at the Kathleen and Tom Elam Center for a game between Murray State and Tennessee-Martin to their feet when he elevated completely over another player, throwing down a dunk that would light up social media and draw an “ohhhhhhh” from the Tennessee-Martin crowd. But, Ja Morant was just doing what Ja Morant does, making people excited about watching basketball, regardless of the venue. Martin, Tenn. is no New York City, no Los Angeles, in fact the entire population of Martin (10,543) would not even fill to capacity Madison Square Garden or the Staples Center. But for now, it is the cities of the Ohio Valley Conference, inconspicuous places like Jacksonville, Alabama (population: 12,612) and Charleston, Illinois (population: 20,018) where Morant will have to rock rims and bring people out of their seats. Morant does not really care however, for now he is just enjoying the ride. Selling out small arenas in small towns is what he is doing, and he is soaking it all in. 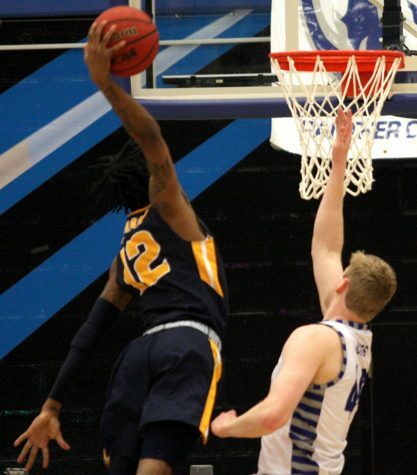 Murray State’s Ja Morant throws a dunk down in his team’s 83-61 win over Eastern on Jan. 17. “Just to say that I wasn’t known and just to see that everybody is coming out just to support and just see me play is good,” Morant said. Morant has embraced the small towns he is playing in, and for the most part, those towns have embraced him when he shows up to play. During halftime warmups on Jan. 17 in Lantz Arena for a game between Murray State and Eastern, an Eastern fan got his camera out and shouted at Morant “do a 360!” Morant smirked at the fan and gave him a subtle nod of acknowledgment at his request. The next time it was Morant’s turn at the basket, he threw the ball in the air, bounced it off the court and soared into the air delivering the 360 dunk the fans clamored for. The fans loved it; Morant loved it. Against Eastern that day, Morant would deliver his team an 83-61 win, contributing 27 points on 11-of-14 shooting, 10 assists and not one, but two plays that would appear on SportsCenter’s top 10 plays that night. That’s the type of play that has become expected of Morant, and it is the exact reason small towns fill up arenas to see him and why Morant is rocketing up NBA Draft boards. Morant leads the OVC in scoring (24 ppg), assists (10.6 apg) and is without question the conference’s most athletic and explosive player, as evidenced by his frequent appearances on ESPN and the Twitter feeds of the NBA media. Some say Morant could be the top pick in the NBA draft in June, others have already paired him with Deandre Ayton and Devin Booker in Phoenix, some have him christened to be the savior of the New York Knicks or the Chicago Bulls franchises. Morant however, is keeping all of the talk about his NBA future, well, in the future. For now, he is content drawing cheers and “oooohs” from the crowds of OVC towns. 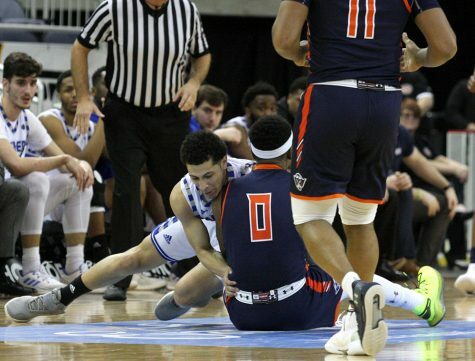 Travel just 152 miles to the East on the same night Morant was dunking over Tennessee-Martin’s Quintin Dove, sending ripples across the OVC and basketball Twitter and you’d find Belmont’s senior guard Dylan Windler, the OVC’s other, much lesser known, NBA prospect. On the same night Morant was putting Dove on his back, Windler was in front of his home crowd doing exactly what it is that has helped him catch the eye of NBA scouts. Windler scored 12 points on 4-of-7 shooting and grabbed six rebounds in a Belmont win over Morehead State, contributing to a Belmont win in all facets of the game. 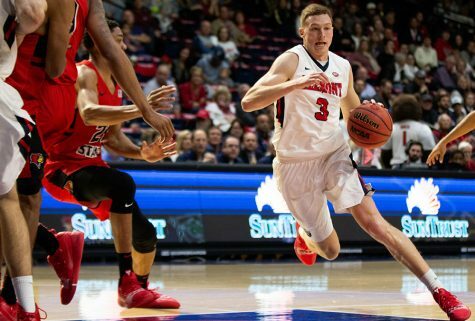 Belmont senior Dylan Windler drives the lane in Belmont’s 100-89 win over Illinois State on Nov. 10. Windler is averaging 19.2 points and 10 rebounds per game for the Bruins this season. It was a good, but meager performance for Windler, especially when compared to the one Morant had on the same night. But while Windler lacks in the flash and highlight reel plays in comparison to Morant, he too, can stack a stat sheet. Windler is third in the conference in scoring (19.2 ppg) and leads the OVC in rebounding (10 rpg). 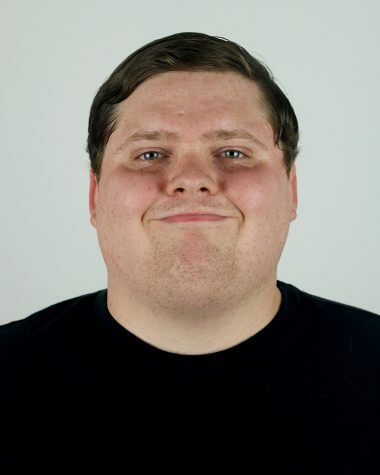 At 6-foot-8 and 200 lbs, Windler is five inches taller and 25 pounds heavier than Morant. Windler in almost any other given year in the OVC would be considered the conference’s best player, but thanks to how polarizing and how rare of a talent Morant is, Windler has taken a back seat. But Windler is not concerned with the amount of attention he is getting. He has taken the mindset that the best thing he can do for himself and his future is be focused on what’s happening in the present. Windler is a borderline second round pick on most NBA draft boards and does not appear on highlight reels quite like Morant tends to do. Windler plays in the OVC’s largest city, Nashville (population: 691,243) and Morant plays in one of its more modest, Murray, Kentucky (population: 19,200). Avoiding the media attention and the scouts is almost impossible for Morant despite playing in the smaller city. With every passing week, every stadium wowing dunk, Morant’s name gets thrown around more in the national media, in NBA draft discussions and of course on social media, ignoring it all is a mute effort. Windler on the other hand, does not get the same attention. In many cases, Windler does not even know which scouts are at his games and when, he is not worried about ESPN highlights or whether he is worthy of a top five NBA draft selection, Windler can focus solely on basketball. 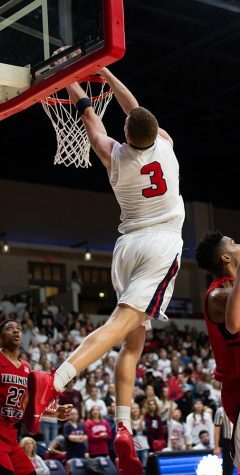 Dylan Windler dunks a ball in Belmont’s 100-87 win over Illinois State. 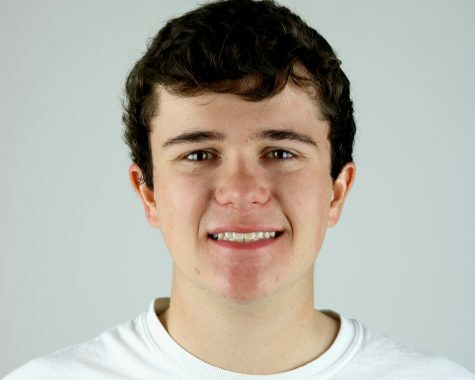 Windler is described by his head coach as being able to do it all on a basketball court. Windler’s movement on to NBA Draft boards is a credit to his extreme work ethic. Belmont head coach Rick Byrd said he has never had a player work as hard, particularly between his junior and senior seasons, as Windler did. 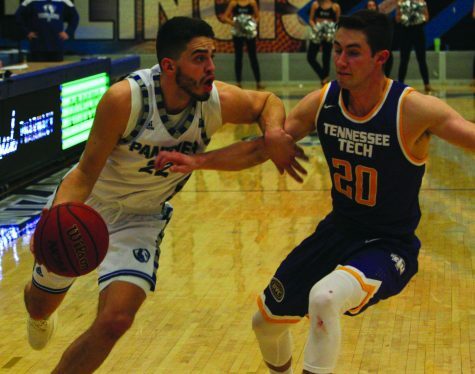 Windler arrived at Belmont as a basketball “late bloomer”, as his school’s athletic website bio describes him, but over four years has developed into one of the most athletic players in the OVC. Byrd said Windler is the best perimeter rebounder he has ever coached, his shooting, defense and all-around play Byrd says have all grown incrementally over Windler’s four years at Belmont. Morant is the first round, can’t miss NBA prospect in the OVC. Windler is the talented, maybe slightly overlooked, player who may see himself taken in the second round of the draft. 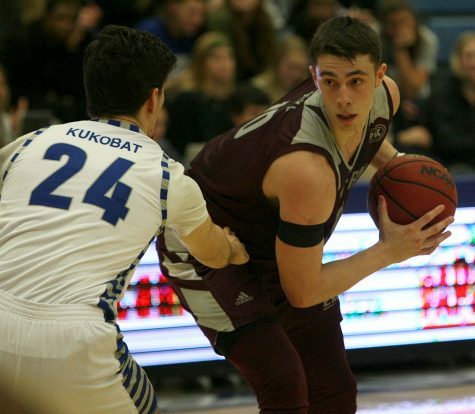 But then there is Eastern Kentucky’s Nick Mayo, the third OVC player many feel can play in the NBA, but for some reason, does not appear on any draft boards. Mayo is simply one of the most physically gifted players in the conference. At 6-foot-9 and 250 lbs, Mayo can work around the post in the OVC at will, overpowering most players that try to stop him in the paint. The big man is also smooth on his feet and with the ball in his hands, and on top of it all, Mayo can shoot the three ball. He is second in the conference in scoring (23 ppg) and fifth in rebounding (8.2 rpg). He leads the conference in made free throws (141) and free-throw percentage (87 percent). Defensively, Mayo uses his long arms to stifle shots at the rim and make scoring in the paint a tall task for opponents. Mayo is second in the OVC with 40 blocked shots this season. Byrd says Mayo might be the hardest player to guard in the conference that he has seen in the last six or seven years. Windler said he can see Mayo playing as a good stretch-four in the NBA and Mayo’s own coach, A.W. Hamilton, says there is “absolutely no question about it” that Mayo can play in the NBA. Hamilton said Mayo deserves to get more attention when it comes to an NBA future. 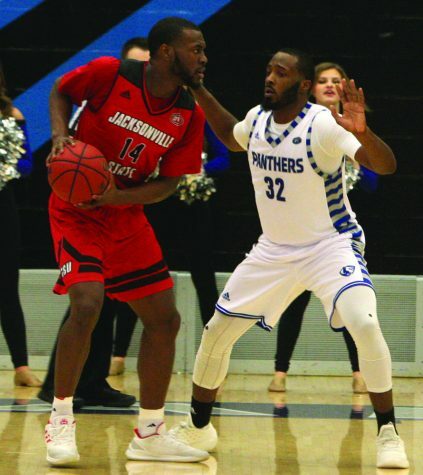 His stats this season are better than those of Murray State’s Jonathan Stark (21.4 ppg, 2.4 rpg in 2017-2018) who won OVC player of the year and was signed by the Minnesota Timberwolves after last season. Mayo was a bit more reserved when talking about his NBA future. The big man talked softly and humbly for someone who rivals LeBron James in size. Eastern Kentucky’s Nick Mayo works on Eastern’s Rade Kukobat in Eastern Kentucky’s 67-66 loss to Eastern on Jan. 31. 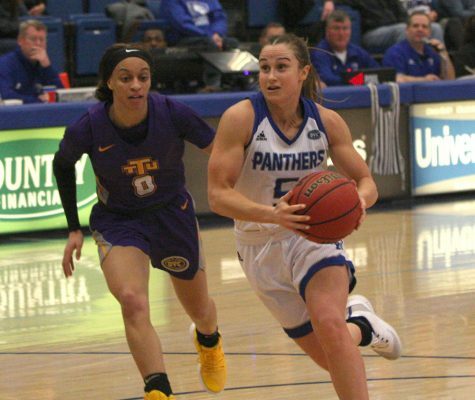 Mayo is second in the Ohio Valley Conference in scoring (23 ppg) and also averages 8.2 rebounds per game. Mayo does not think about whether or not he is overlooked in the draft discussions. Like Windler, his focus is on winning games at Eastern Kentucky, and if that leads him to the NBA, then so be it. Morant, Windler and Mayo play in the same conference as of right now but play under very different microscopes. Morant has become America’s mid-major darling, Windler is a name that shuffles around draft boards and Mayo may be the one of the more overlooked mid-major prospects in the nation. But they are all Ohio Valley Conference basketball players right now, and all hope to one day put the conference on the map and bring it a stronger reputation. What the trio means to their schools and the conference cannot be stated enough. All three of their coaches agreed that having them as alumni will help with their recruiting and what they can do for the conference on the national scene is something that excites the OVC. The OVC does not get the national respect, and rightfully so, of any of the power five conferences. Every year when an OVC team does make the March Madness tournament, they typically go home after just one game. The Ohio Valley Conference does have NBA alumni in Kenneth Faried (Morehead State), Robert Covington (Tennessee State), Ian Clark (Belmont) and Cameron Payne (Murray State) in the league right now. But none of those players drew the same hype as Morant and none of them had the potential to create quite an OVC draft class like Windler, Mayo and Morant do. 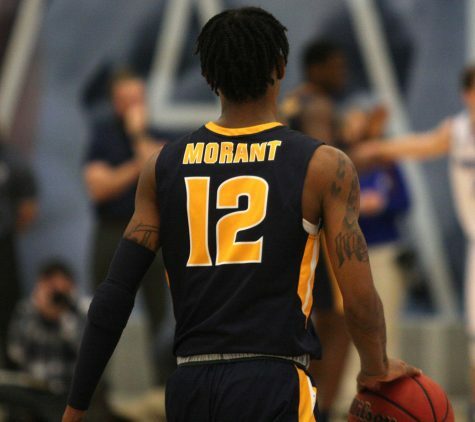 Morant knows he will probably go higher in the NBA Draft than any other OVC player before him, representing the OVC someday as an ambassador in the NBA is something that is a goal for Morant. 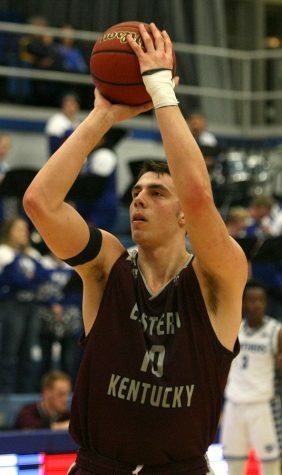 Nick Mayo shoots a free throw in Eastern Kentucky’s 67-66 loss to Eastern on Jan. 31. Mayo leads the Ohio Valley Conference with 141 made free throws. Morant’s future in the NBA, but more immediately his constant exposure on social media, will give Murray State an uptick in recruiting ability according to head coach Matt McMahon. But not just his play on an NBA court will help someday, so will Morant’s personality and demeanor. 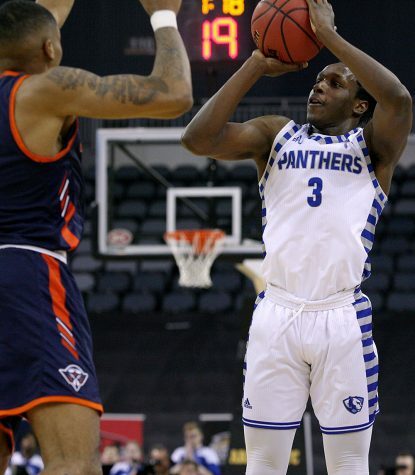 What Morant, a player who now seems to make weekly appearances on national highlight reels, means to the conference is potentially game-changing for the OVC. 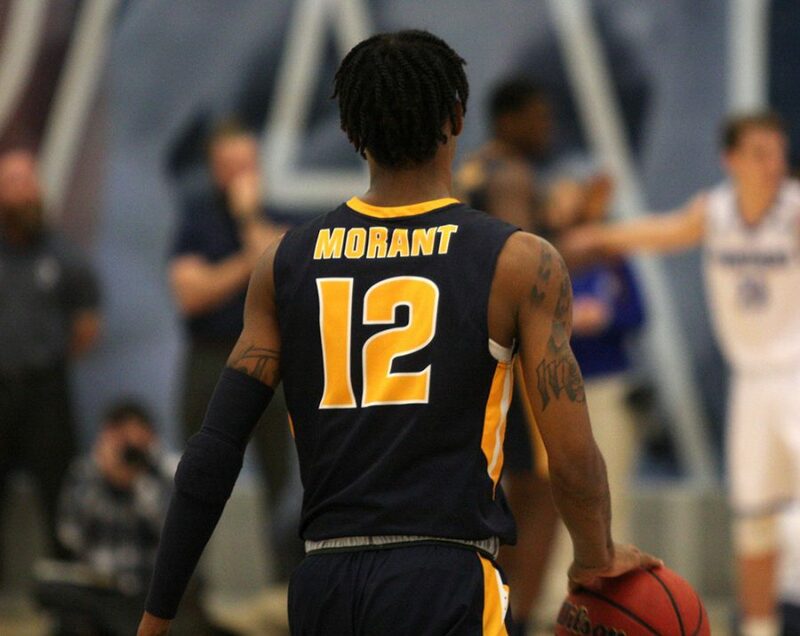 Morant alone brings more attention the OVC than any player to ever wear the conference’s patch on their jersey. 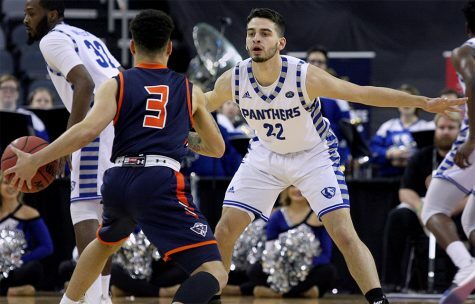 But coupled with Windler and Mayo as other potential NBA prospects, all leaving in the same class, would be nothing short of a breakthrough for the conference. The dominos will fall how they fall on draft night, and Morant, Windler and Mayo all know they cannot control what happens. It is likely Morant will have his name called in the top-10. Windler will watch patiently, likely into the second round, to hear if his name ever gets called and Mayo will have to hope someone takes notice of what he has been doing in the conference. But regardless of what NBA teams decide to do in June, there is little doubt that this trio has created one of the most intriguing and talented classes to ever leave the Ohio Valley Conference. 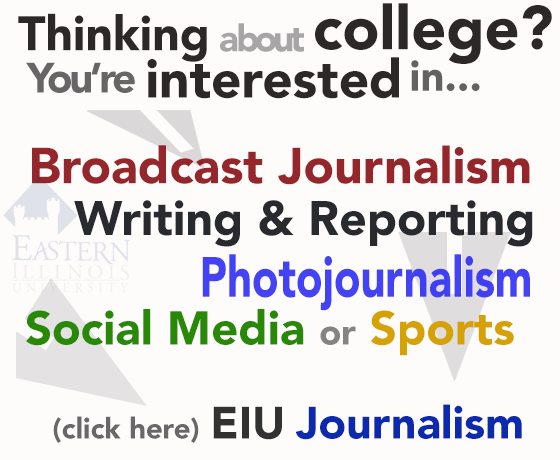 JJ Bullock can be reached at 581-2812 or [email protected]edu.